Eileen Maxham, FMP, joined RCS Training and FRLA as a Regional Manager in 2010. In 2016, she was promoted to Sales Manager for Central Florida, Tampa Bay and the Suncoast. Eileen has an extensive background in training and hospitality management. She began her 25 year career in operations with 17 years at Darden where she gained experience in all aspects of front of the house and culinary management, budgeting, guest retention and restaurant openings. This was solid foundation for her next challenge as Director of Training for a growing restaurant chain for which she went on to become Vice President. In this role she developed training material, HACCP training, employee handbooks, served on numerous boards and consulted for the franchise group who took the concept national. 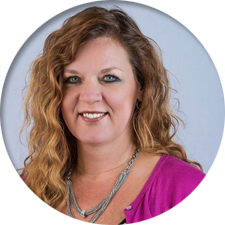 In addition to serving as RCS Training Sales Manager, Eileen also teaches the CFPM in three counties for FRLA’s Education and Training Department and is a member of the Visit Florida Industry Relations Committee.